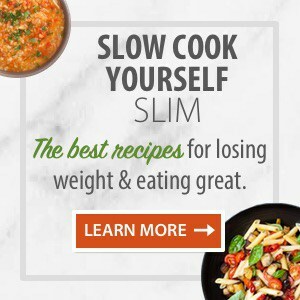 Alisha from the blog Meal Planning Mommies, and creator of the amazing 12-Week Meal Planner eCookbook (affiliate link) – is back this week with her Weight Watchers Friendly Meal Plan #25. Take a peek at what’s on her menu for the coming week and then if you like pop on over to her site to print off the recipes and grocery list. 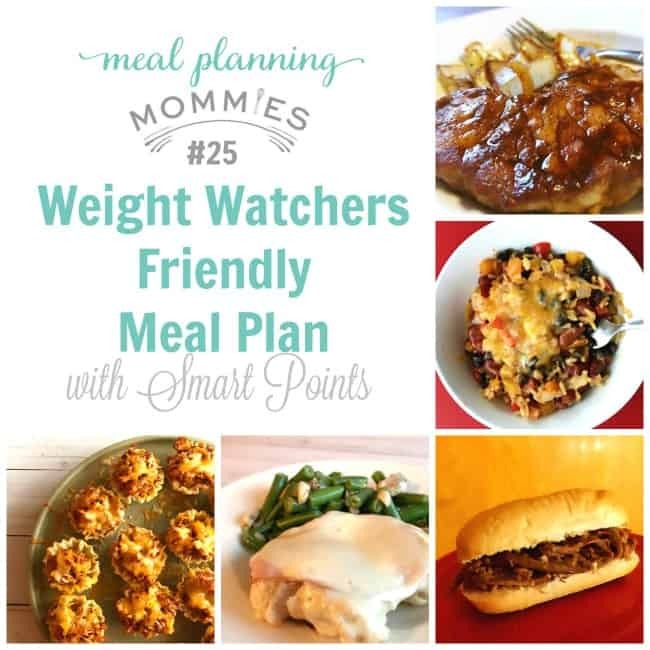 I am so happy to share another Weight Watchers friendly meal plan with you this week! I would like to say a big thank you to Martha for allowing me to share my meal plans on Simple Nourished Living! 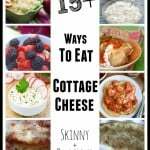 Once a month I share a new Weight Watcher friendly meal plan on Meal Planning Mommies that includes a grocery list you can print off and links to each of the recipes. For this week’s full meal plan with a free printable grocery list you can go here. Let’s talk a little bit about this week’s meal plan. First, there are the “Get food on the table quick” recipes. You will want to save the slow cooker shredded beef sandwiches and the pork chops for busy nights when you need to whip up dinner in a jiffy. The beef sandwiches are as simple as tossing some seasoning packets and some meat in a slow cooker. The pork chops just require a little sprinkling and some grilling. You can have both of these on the table in less that 15 minutes. Then, there are the “I have a few extra minutes” recipes. 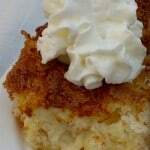 And lastly, there is the “family favorite” recipe. The Chicken Chili phyllo poppers are my husband’s absolute favorite! We couldn’t decide if we wanted them to be an appetizer or an entree, so we made them twice and did them both ways. Afterward, we decided that we liked them for dinner and wanted to make them part of the meal plan. They taste great and they just scream fun! Save those for a night when you feel like having a good time. Maybe eat them while you play a game as a family or have a friend over and share with them! They’ll love you for it. Now one to this week’s meal plan! To get to the free printable grocery list that goes with this meal plan you can go to the Meal Planning Mommies website here. Visit Meal Planning Mommies for this week’s free printable meal plan, grocery list, and recipes! 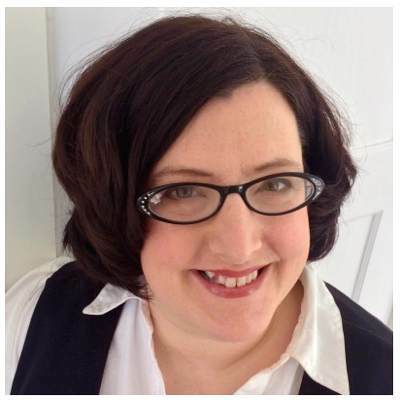 A working mom with three beautiful children, Alisha shares quick & easy Weight Watchers friendly meals, recipes and other fun stuff on her blog Meal Planning Mommies. She started meal planning because she found that simply taking a couple of hours at the beginning of each week to plan meals and do her grocery shopping, the rest of her week is much smoother and less stressful. 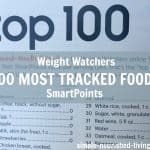 I'm a huge fan of Alisha's 12 Week eCookbook and Meal Planner - a practical efficient resource for Weight Watchers that will save you hours of time on meal planning each week! I have used your menu for this week #25. 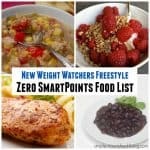 I just recently found your site and was so excited to see the menu and grocery list. I am not really a “mommy” anymore as my youngest is 27 years old next month, but I am just as busy as I was when I had 4 small children. After getting home from work, I am rushed and exhausted. The last thing I want to do is figure out what’s for dinner. Also, on my days off, I hate having to figure out the plan for the week and usually get in a rut. I am a little behind (today is Friday and I just made Creamy Turkey and Vegetable Soup for lunch). My entire family has enjoyed everything I have cooked this week! I can’t thank you enough for your generosity in sharing and doing all the work for me! Since I recently started Weight Watchers (again), your menus are so much more helpful to me. 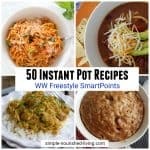 Wonderful sounding recipes! I am going to try 3 of them this week. I just used this menu this week. 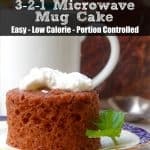 It is so easy and very yummy!!! 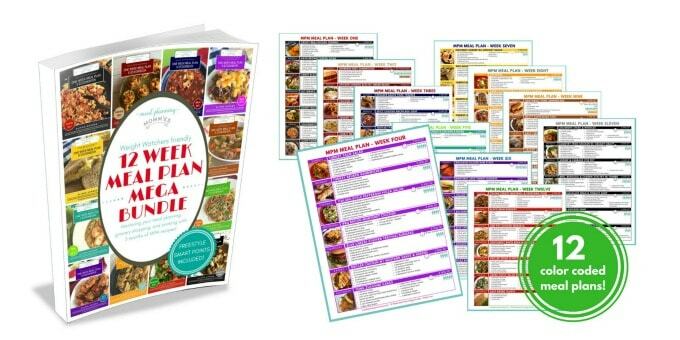 I am now getting ready to shop for meal plan #24. These are just fabulous!!! Awesome recipes thank you! I do want to let you know to be VERY careful when you call something Gluten Free – you have Soy Sauce in your pork chop and carmelized onion recipe and Soy Sauce is NOT gluten free.